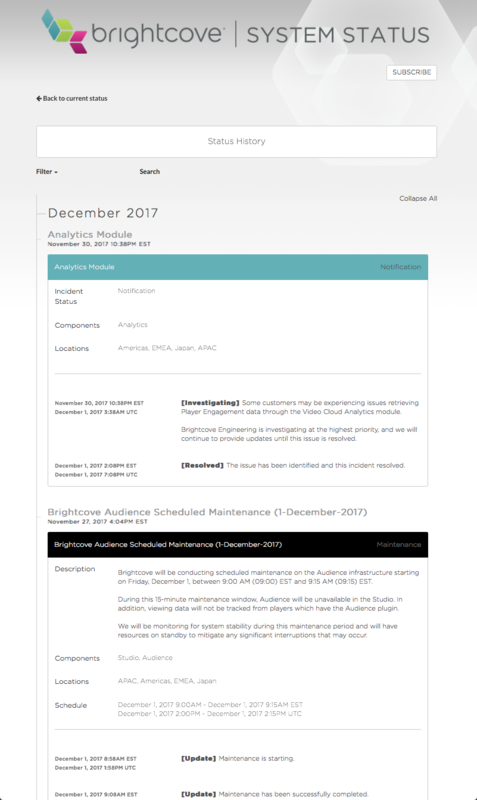 Brightcove continuously monitors the status of all Brightcove Services including Video Cloud, Gallery, Analytics, Zencoder and Once. If there are any interruptions in service, a note will be posted on the System Status Page. All scheduled maintenance notices will also be posted on this page. 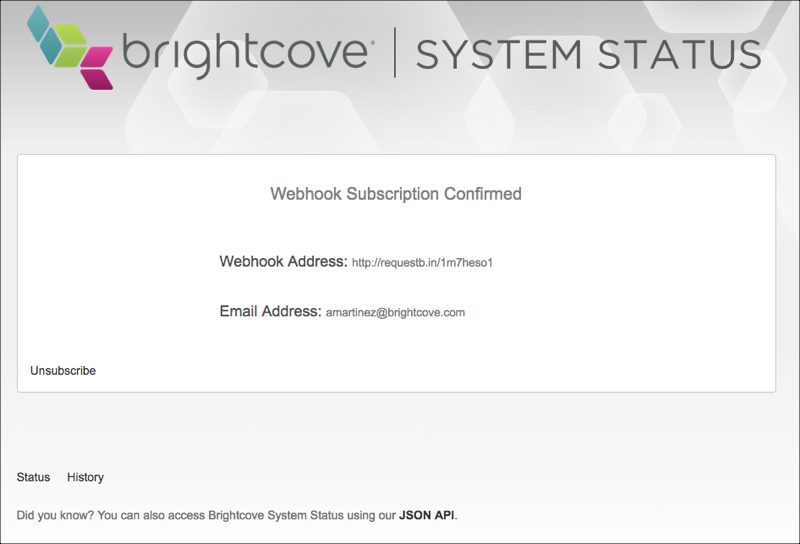 To access the System Status Page, visit https://status.brightcove.com or from the Studio navigation header, click the SYSTEM STATUS link. All posted messages will be in English and the time used is Eastern Standard Time (GMT-5). To view the System Status history, click the History link at the bottom of the page. To receive notifications by email, click the SUBSCRIBE button, enter your email address and then click Subscribe. 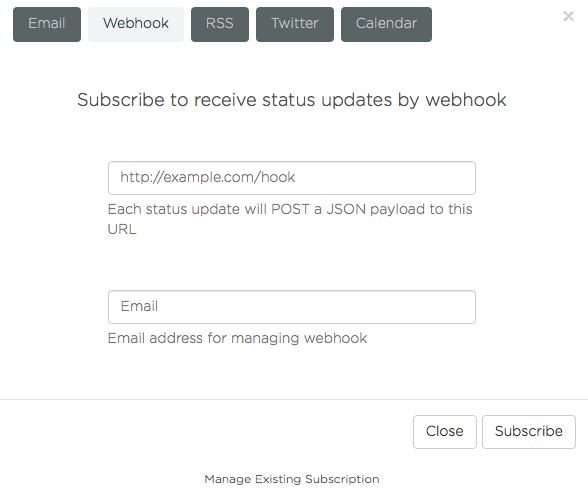 A webhook is a defined callback made with HTTP POST. 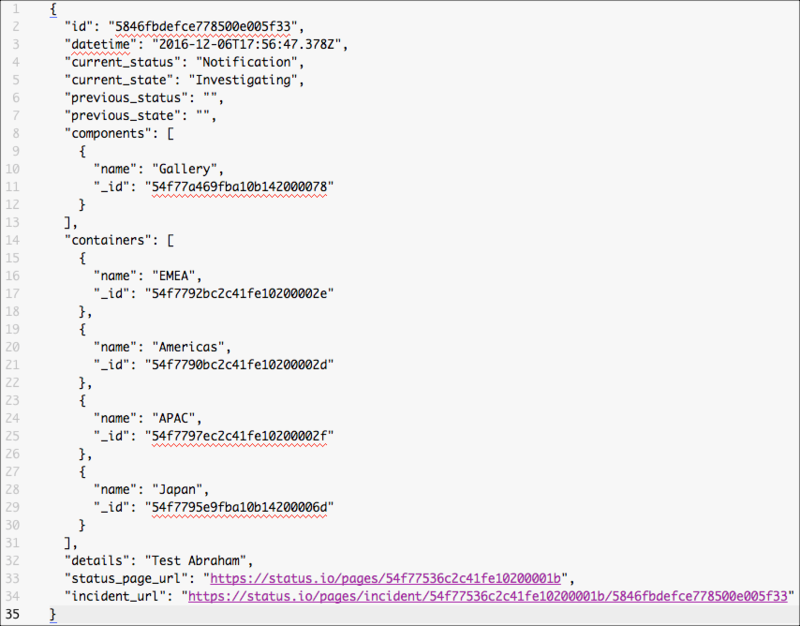 You specify a URL where the callback will post a JSON object when there is a status update. 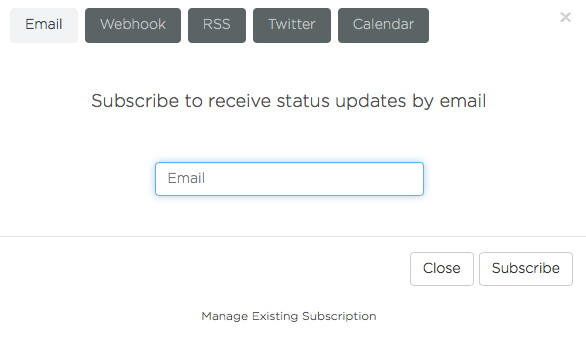 To sign up to be notified when the system status changes, select the SUBSCRIBE button. Then enter a URL to receive the JSON payload along with your email address. 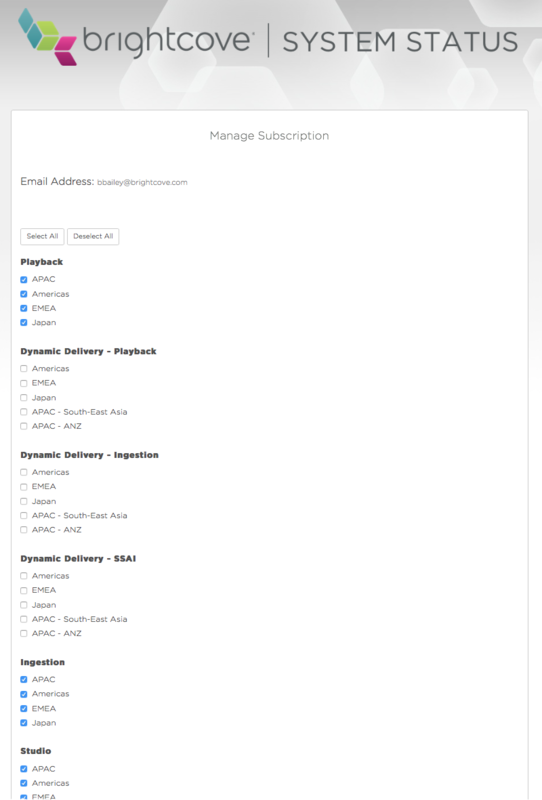 After you have subscribed, you will receive an email with a link to a Manage Subscription page that allows you to manage your subscription. You can choose the components/products/regions you are interested in receiving notifications for. Make your selections and then click Save Subscription. To unsubscribe, click the Unsubscribe link at the bottom of the Manage Subscription page.